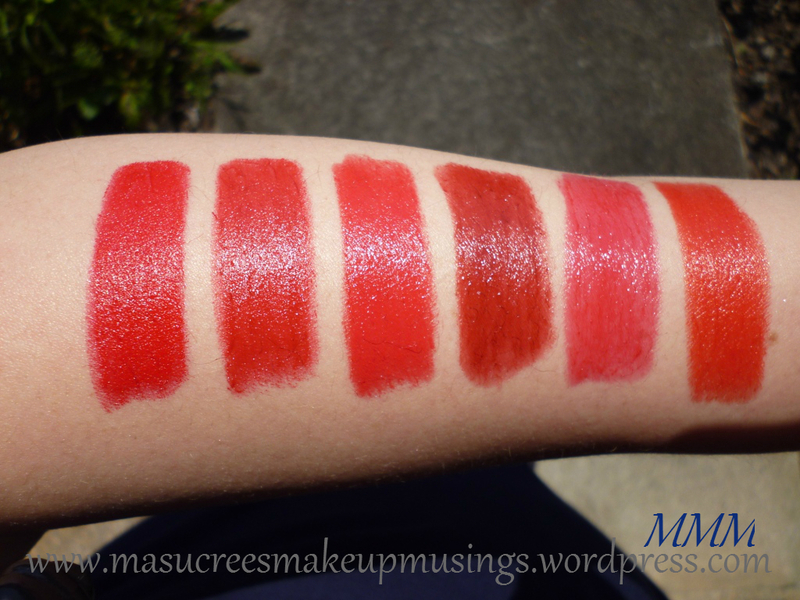 From left to right: Jordana Radiant Red, Isabelle Dupont L258, Maybelline Are You Red Dy?, Revlon Crimson, Sally Hansen Rouge and L’Oreal Paris Perfect Red. 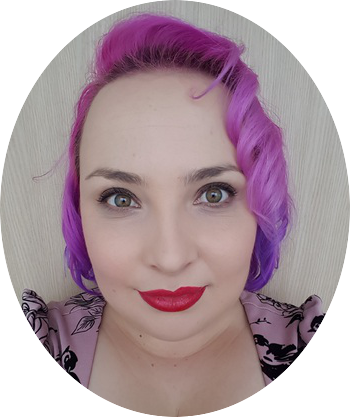 Jordana lipsticks go for $3.00 NZD each and is available from most dollar stores and can also be purchased from Beauty Joint. Isabelle Dupont’s L258 is one of my favourite reds as it is a little bit darker and goes well with all my blue winter clothing. L258 looks like a pure red as well, just a darker shade to Jordana Radian Red. 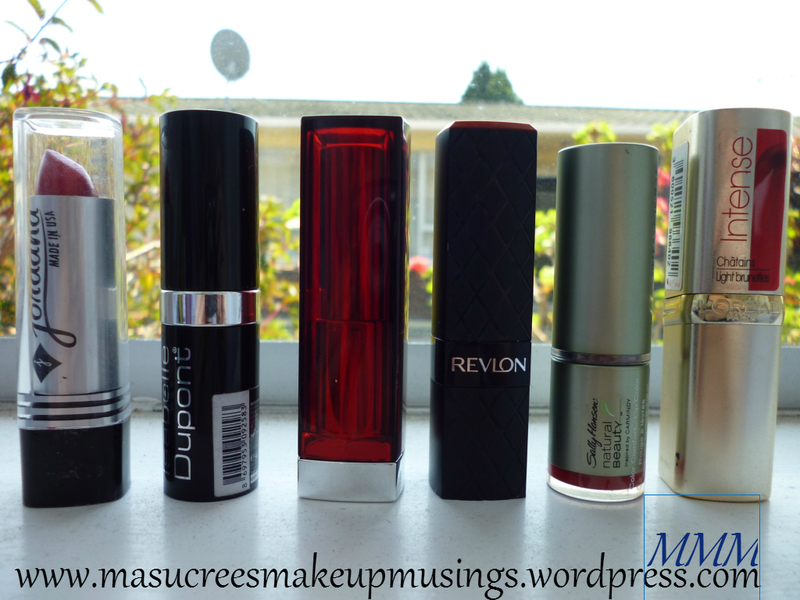 I usually pick my Isabelle Dupont Lipsticks from Makeup Direct for $16.99 NZD. 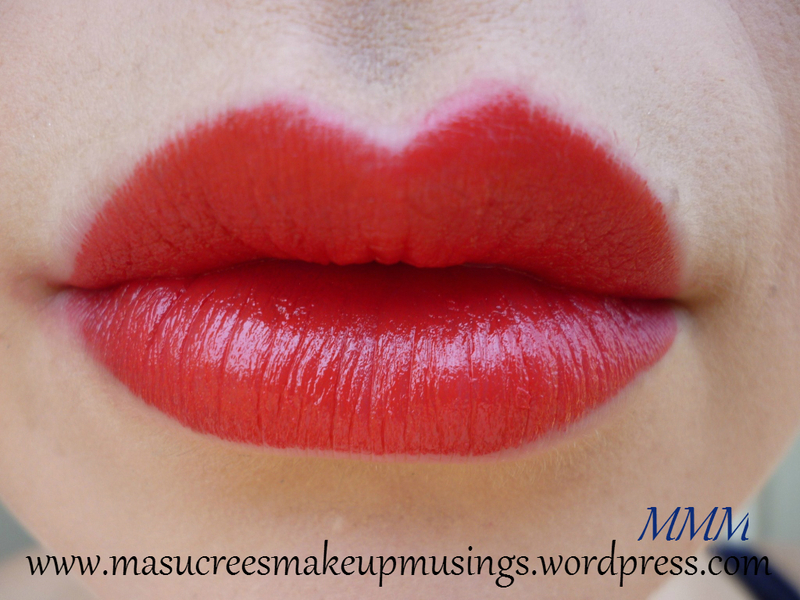 Maybelline Are You Red-Dy? 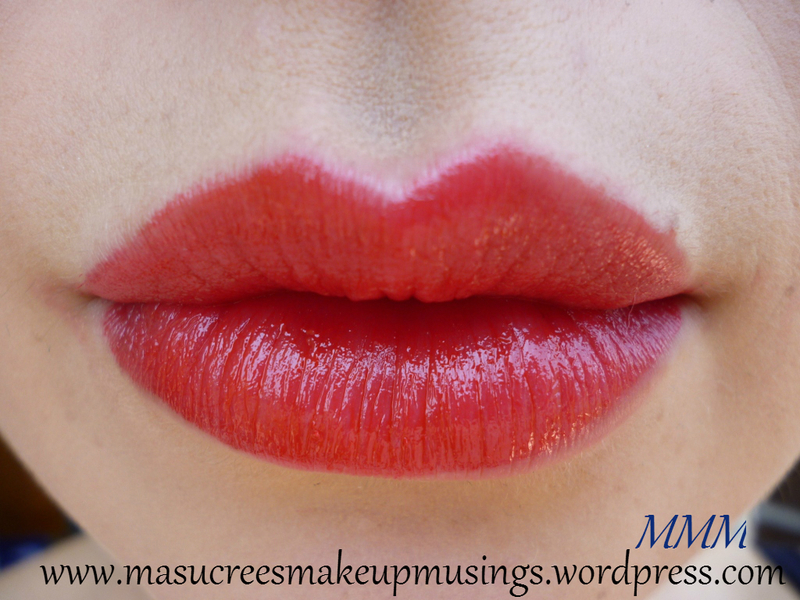 is a pinky red and can take a little bit more work to pair it with the right makeup and clothes. 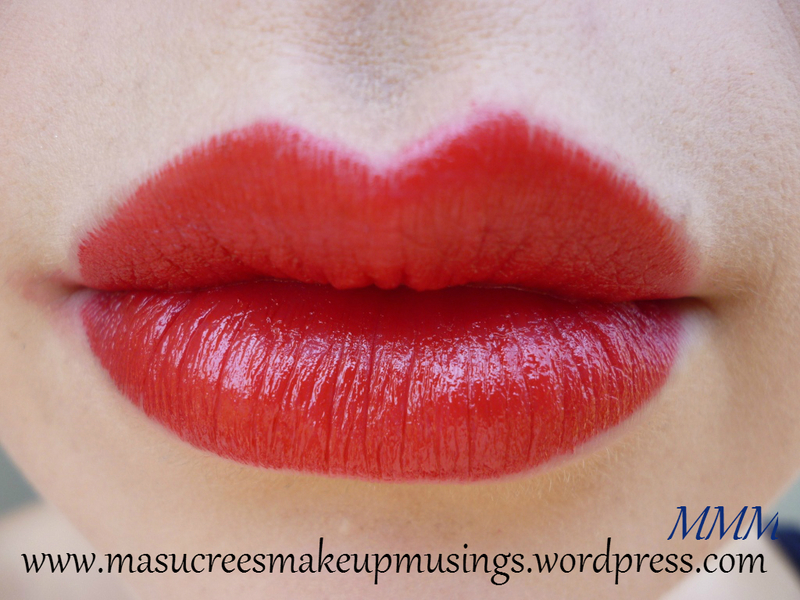 I have a few of Maybelline’s lipsticks and they’re all amazing lipsticks, not just the colour but how well they wear and how well they treat your lips. Just about all lipsticks I have can leave my lips dry by the end of the day, Maybelline is the only brand that doesn’t do that for me. 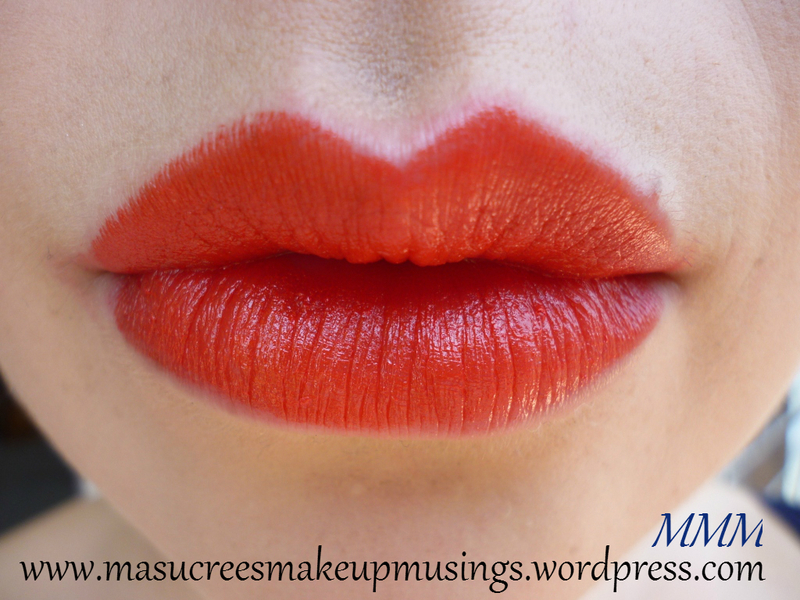 Maybelline lipsticks can be found at most pharmacies and departments stores in New Zealand. You can also get lucky to find them at Postie going for $10.00 NZD instead if the usual $20.00NZD. 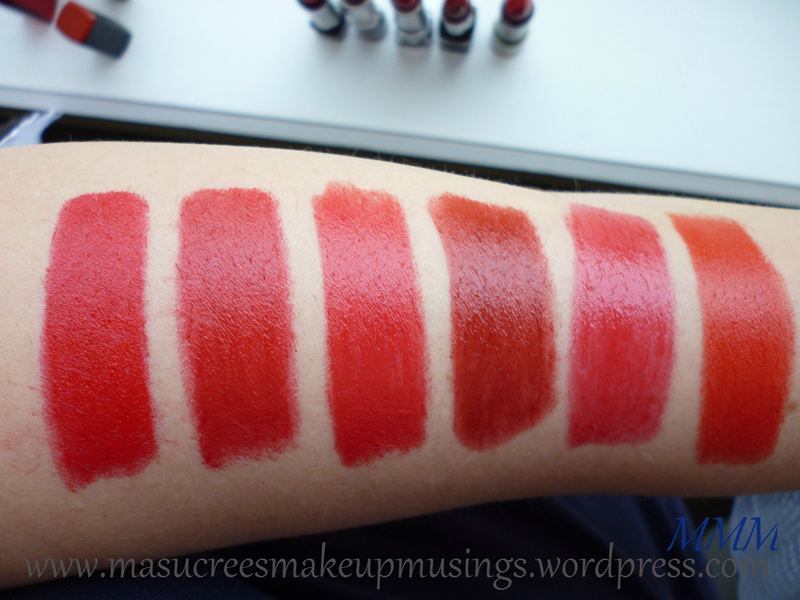 Revlon Crimson is the only bit of Revlon makeup that I own so I don’t have much to compare this too. It is my most recent lipstick purchase and is the darkest red I own. I am not too sure how often I will wear this lipstick out of winter since it is always paired better with darker colours. This colour stays on for ages, but can be a little bit drying which could be just the winter climate doing some damage to my lips. I am so glad I picked this one up especially since I only paid $10.00 NZD for this from Postie. 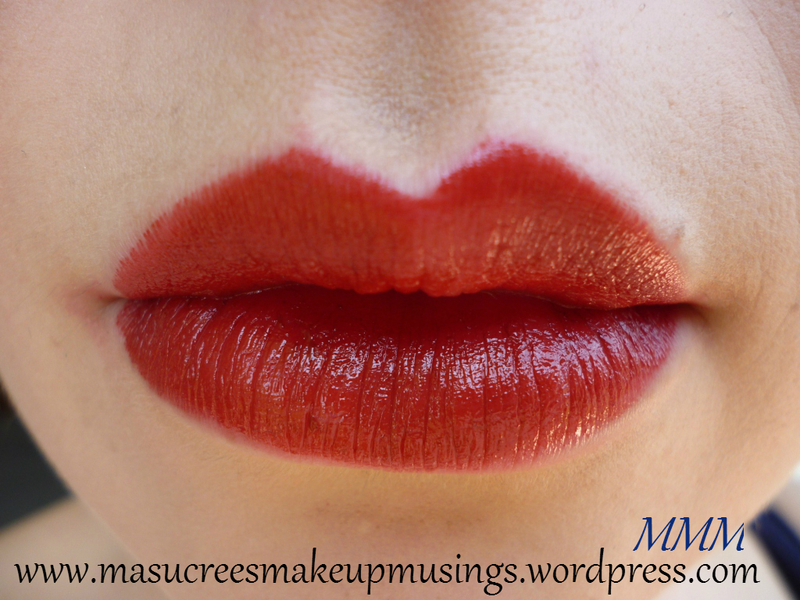 Sally Hansen Rouge is a glossy red which takes a bit of layering to get good coverage. This one hasn’t seen too much daylight and I think its because I avoid glossy lipsticks. It’s a lovely colour, but can be pretty hard to get it on evenly and because its glossy it doesn’t stay on long. I picked this up from a clearance store for $7.00 NZD. L’Oreal Perfect Red is a softer red with orange undertones which means it is pretty good at being paired with blue clothes (which is what I wear the most), but can be pretty hard to pair with purple. 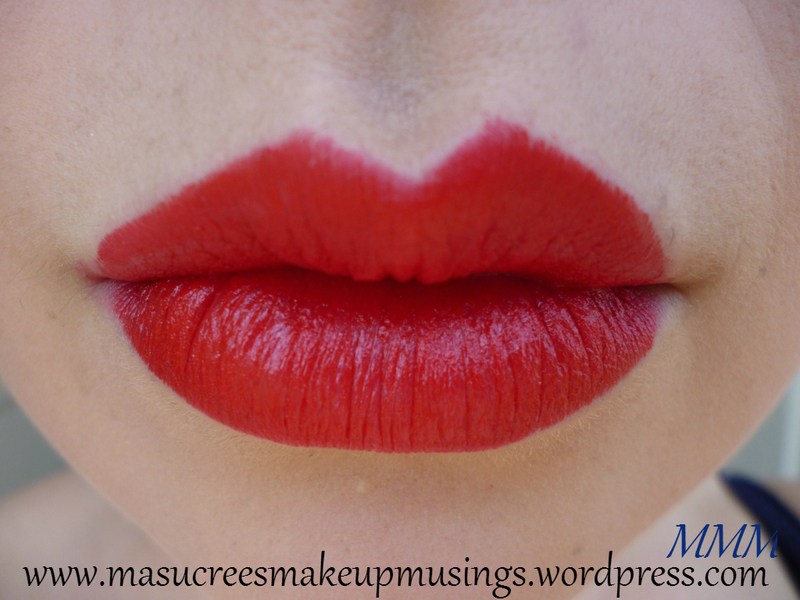 It also requires toned down eye makeup, though all red lipstick needs less extravagant eye makeup. This one was a little bit more pricey around $30.00 NZD, but like Maybelline its a good quality brand that lasts a good long while and doesn’t dry my lips out.